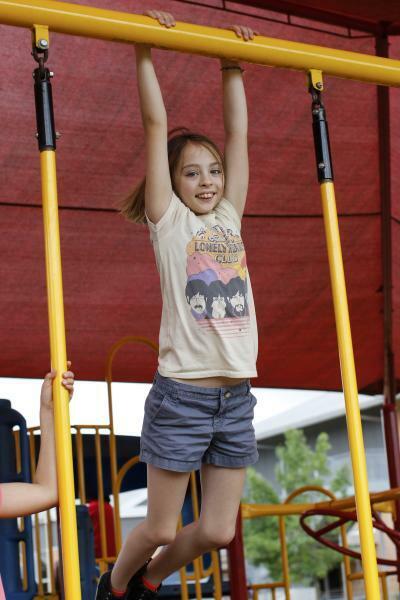 Lorelei Leibold hangs from a bar on the playground. 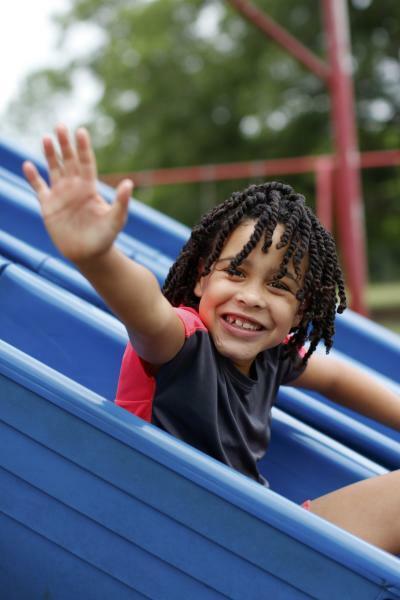 Lena Banton waves as she takes a quick slide down the plastic slide set. 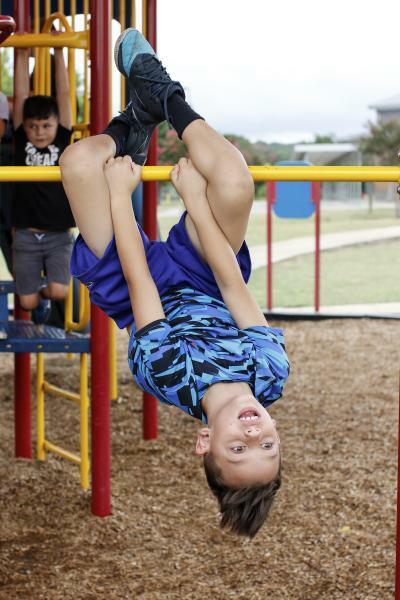 Jack Bates demonstrates for his fellow campers how to hang upside down from the monkey bars.